If pre-event promotions are giving you a Hart Attack, we’re here to help! 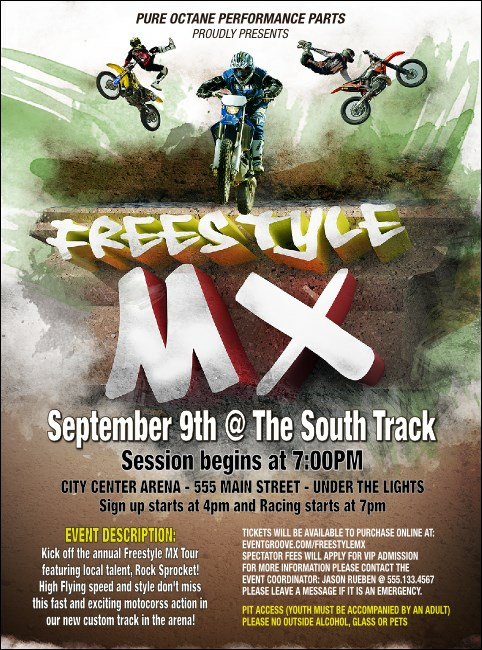 Advertise your extreme event in advance with Freestyle MX Flyers. Spread the word about your upcoming competition with Flyers that feature a realistic scene right off the course, with riders completing difficult tricks in mid-air. Try TicketPrinting.com pre-event advertising to help your ticket sales jump.